Feeling parched? 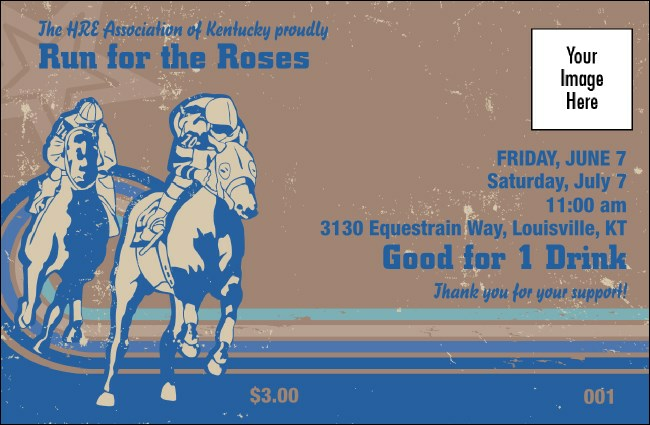 Whether you're serving mint juleps or any other libations, you can keep the dust down with the Horse Racing Drink Ticket in blue and tan, with an image of two jockeys maneuvering for the lead, plus space to add any image from your own computer files right to the ticket template below! Take the lead in event sales with TicketPrinting.com.